This dewatering equipment is used to rigid plastic dewatering. It will drain out dirty water with 1500 RPM high speed. 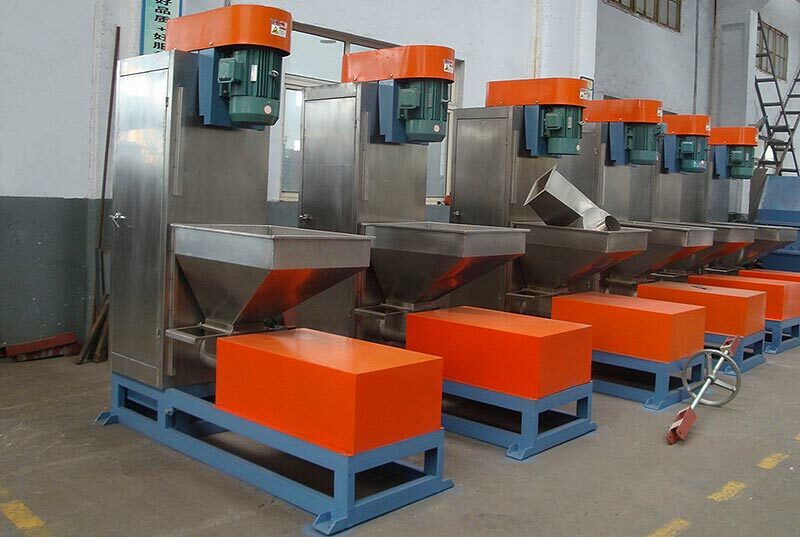 The machine usually Be installed in pet recycling line. We use 1.5kw motor to push bottle flakes into screen. The PET bottle vertical dewatering machine screen washing part was made stainless steel which is durable in using for a long time and it is easy to maintaining. We use famous motor brand, such as siemens, beide, dazhong, wnm and so on. we can guarantee the machine quality. The capacity is from 200up to 800 kg/h.